On 3 November 2014 I wrote a follow-up letter to Canada's Chief Justice as the Supreme Court deliberates on the issue of the federal law prohibiting assisted suicide. Lawyers for the Canadian Civil Liberties Association and advocates for euthanasia and assisted suicide present persuasive arguments to kill the incurably sick and disabled under the guise of compassion. 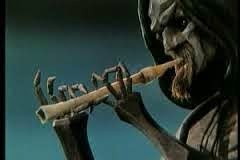 The pied pipers of death play a catchy and seductive tune called "Choice". It's a deadly lullaby meant to lull to sleep gullible consciences of a nation and drift into what made previous generations recoil in horror. The text of my original letter was posted on the HumanLifeMatters blog on 21 October 2014 at http://www.humanlifematters.org/2014/10/my-letter-to-canadas-supreme-court.html . The text of my latest follow-up letter is below. The nation awaits the high court's decision. I wrote to you last month appealing to Canada’s high court not to strike down Canada’s law on assisted suicide. A copy of that letter is attached. Please ensure the other Justices adjudicating the case of Kay Carter and the wider issue on Canada’s law against assisted suicide receive copies of that letter for consideration. Euthanasia and assisted suicide lobbyists say Canada’s laws against assisted suicide are discriminatory against the incurably sick and disabled because they are denied the ability to commit suicide that able-bodied Canadians can do. That argument is deeply flawed. Just because someone can commit suicide does not mean they have a right to do it. There is no “right” to suicide in Canada. If there was a right to suicide, why would Canada’s Parliament UNANIMOUSLY support the idea of a National Suicide Prevention Strategy as they did in October 2012? 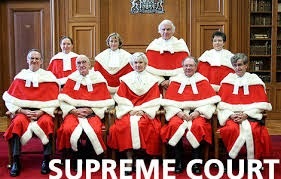 If the Supreme Court strikes down Canada’s law against assisted suicide or expresses support for assisted suicide for incurably ill and severely disabled Canadians (like me) what sort of message will that send to us? Parliament gives full support to suicide prevention for the healthy and able-bodied while the Supreme Court supports assisting the suicides of the sick and disabled? That is the message I will hear loud and clear. Public policies and laws do not exist in isolation; they must have continuity and consistency. Right to die proponents bolster their argument for assisted suicide by citing Section 7, Legal Rights, of the Canadian Charter of Rights and Freedoms: “Everyone has the right to life, liberty and security of the person and the right not to be deprived thereof except in accordance with the principles of fundamental justice.” The very section they cite for security of the person undermines their argument about a “right to die”. Section 7 begins by affirming and declaring the right to life: It says nothing about a right to death! As I mentioned in my last letter, pain management of the 21st Century is so advanced that people need not suffer and die in pain (see quote by palliative care specialist Dr. John Scott). In order for society to recognize one person’s perceived security of the person the greater community’s proper sense of interdependence will suffer. This must not be, Madam Chief Justice. The Common Good must prevail. Even the United Nation’s Universal Declaration of Human Rights, Article 3, declares firstly the Right to Life before the Right to security of the person. It says nothing about a right to death either – and with good reason. Without the Right to Life guaranteed, all other human rights become arbitrary and uncertain. Death is an eventuality not a right. I have suffered great physical pain and great emotional pain. It is my experience that emotional pain is worse than physical pain and more difficult to treat.